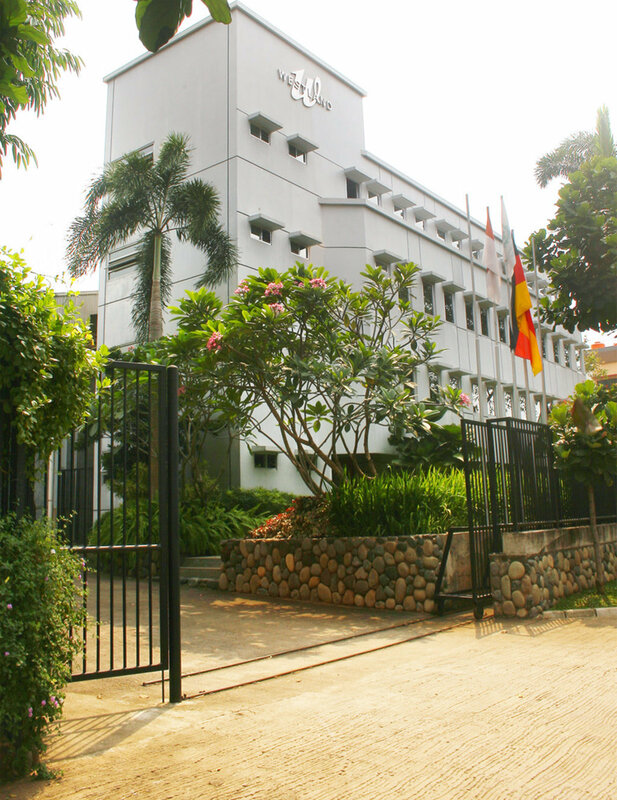 PT Zentrum Graphics Asia was first established in late 1987 with printing inks as its main business line and an office space which was located originally in the inner west part of jakarta. As the company grows steadily since then, the office was move towards the suburb of serpong – tangerang , about 20 km away from the city; as to provide better and more efficient business activities and other related services. The occupied space is a compact, four storey building with internal production facility side by side the office block, warehouse, laboratory, training room & library. More staff have been proposed to join our team as the business expands. Our team have experiences in the graphic arts industry for many years, and our marketing staff have been sourced and equipped with sound educational background as well as professional training programmes – which enable them to make quick and proper responses to customer requirements. We are main distributor in Indonesia for DSC Printing Chemicals & VULCAN – Trelleborg Printing Blankets. We are also the license holder in Indonesia for WESTLAND Printing Rollers. Through a cooperation with WESTLAND Gummiwerke GmbH & Co. – Germany, an opportunity to establish a roller recovering plant in Indonesia was offered. With a fully transferred technology we will be the first in Indonesia for roller recovering with license from a worldwide roller manufacturer. With the support of our sub-agents throughout the country we have been supplying our products to hundreds of offset printing customers in webfed, sheetfed, computer form, and metal decorating printing. Nowadays we have become a market leader in Indonesia for a web press application. The little success has been achieved through a close link of our business integrity which adapts Partner, Service, and Quality as a whole. We do not just offer quality products, but also partnership and continuous service to all customers. Our goal is to introduce quality products in the graphic arts industry and to maintain good relations with our valued customers.